China’s horrifying use of the death penalty remains one of the country’s deadly secrets, as the authorities continue to execute thousands of people each year, Amnesty International said in its 2016 global review of the death penalty, published today. A new in-depth investigation by Amnesty International, also published today, shows that the Chinese authorities enforce an elaborate secrecy system to obscure the shocking scale of executions in the country, despite repeated claims it is making progress towards judicial transparency. Excluding China, states around the world executed 1,032 people in 2016. China executed more than all other countries in the world put together, while the USA reached a historic low in its use of the death penalty in 2016. “China wants to be a leader on the world stage, but when it comes to the death penalty it is leading in the worst possible way – executing more people annually than any other country in the world,” said Salil Shetty, Secretary General, Amnesty International. Amnesty International’s investigation exposes that hundreds of documented death penalty cases are missing from a national online court database that was initially touted as a “crucial step towards openness” and is regularly heralded as evidence that the country’s judicial system has nothing to hide. China’s database contains only a tiny fraction of the thousands of death sentences that Amnesty International estimates are handed out every year in China, reflecting the fact that the Chinese government continues to maintain almost total secrecy over the number of people sentenced to death and executed in the country. China classifies most information related to the death penalty as “state secrets” and in any case virtually any information can be classified as a state secret under China’s overbroad secrecy laws. 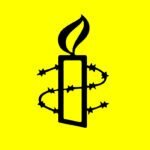 Amnesty International found public news reports of at least 931 individuals executed between 2014 and 2016 (only a fraction of the total executions), but only 85 of them are in the state database. The database also omits foreign nationals given death sentences for drug-related crimes -despite media reports of at least 11 executions of foreign nationals. Numerous cases related to “terrorism” and drug-related offences are also absent. “The Chinese government uses partial disclosures and unverifiable assertions to claim progress in reducing the number of executions yet at the same time maintains near absolute secrecy. This is deliberately misleading.” said Salil Shetty. Over the past few years the risk of people being executed for crimes they did not commit has caused increasing alarm among the public in China. In December 2016, the Supreme People’s Court overturned the wrongful conviction of one of the most prominent case of miscarriage of justice and wrongful execution, Nie Shubin. He had been executed 21 years earlier, at the age of 20. In 2016 Chinese courts decided four people facing the death penalty were innocent and quashed their death sentences. In Malaysia and Vietnam, new disclosures reveal that the scale of the executions in those countries was even higher than thought. Information from Vietnam, published in Vietnamese media for the first time in February 2017, shows that the country has secretly been the world’s third biggest executioner over the last three years, executing 429 people between 6 August 2013 and 30 June 2016. Only China and Iran executed more people during that period. The report from Vietnam’s Ministry of Public Security does not contain a breakdown of figures for 2016. “The magnitude of executions in Vietnam in recent years is truly shocking. This conveyor belt of executions completely overshadows recent death penalty reforms. You have to wonder how many more people have faced the death penalty without the world knowing it,” said Salil Shetty. Similar secrecy reigns in Malaysia, where parliamentary pressure in 2016 led to revelations that more than a thousand people are on death row, with nine people executed in 2016 alone- much more than previously thought. Meanwhile, the idea that crimes warrant the death penalty continue to take root elsewhere in the region, with the Philippines seeking to reinstate the death penalty (last abolished in 2006) and Maldives threatening to resume executions after more than 60 years. For the first time since 2006, and only the second time since 1991, the USA is not among the world’s five biggest executioners. The number of executions (20) in 2016 reached the lowest level recorded in any year since 1991, half what it was in 1996, and almost five times lower than in 1999. The number of executions has fallen every year since 2009, except 2012 when it stayed the same). The number of death sentences (32) was the lowest since 1973, a clear sign that judges, prosecutors and juries are turning their back on the death penalty as a means of administering justice. However, 2,832 people are still on death row in the USA. While the debate is clearly shifting, the fall in executions was due partly to litigation on lethal injection protocols and challenges in sourcing chemicals in several states. However, the possible resolution of some lethal injection challenges could see the level of executions start to take off again in 2017, starting with Arkansas this April. Only five US states executed people in 2016: Alabama (2), Florida (1), Georgia (9), Missouri (1), Texas (7), with Texas and Georgia, accounting for 80% of the country’s executions in 2016. Meanwhile, 12 states, including Arkansas, yet to abolish the death penalty have not executed anyone for at least 10 years. “Use of the death penalty in the USA is at its lowest since the early 1990s. But we have to fight to keep it that way. Executions could return with a vengeance in 2017. The shocking number of executions scheduled over a ten-day period in Arkansas this April is a clear example of how quickly the picture can change,” said Salil Shetty. “The steady decline in the use of the death penalty in the USA is a sign of hope for activists who have long campaigned for an end to capital punishment. The debate is clearly shifting. Politicians should steer clear of the ugly ‘tough on crime’ rhetoric that helped drive a spike in executions in the 1980s and 1990s. The death penalty is not going to make anyone any safer. The fall in executions worldwide is largely driven by drops in Iran (down 42% from at least 977 to at least 567) and Pakistan (73%, from 326 to 87). In sub-Saharan Africa fewer executions were recorded but the number of death sentences more than doubled, largely due to a steep rise in Nigeria. Two countries abolished the death penalty for all crimes (Benin and Nauru); Guinea abolished the death penalty for ordinary crimes only.